Comment: I received some great feedback on this post. 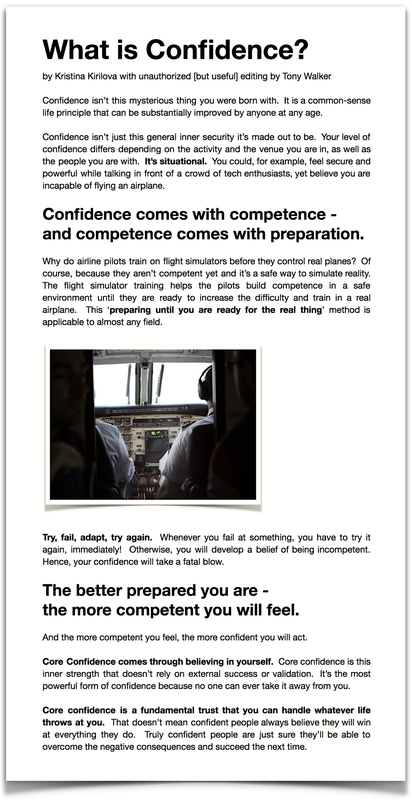 The best discussion revolved around how a con-man’s bravado is often mistaken for competency. Of course, this led some to assume that I was commenting on The Donald, but I refrain from politics or religion. Regardless, one point I was hoping to make [and didn’t get around to] was that I prefer insecure-competency to confident-incompetency. I have often worked with people that were apprehensive about what they were producing, only to be amazed by the quality and inventiveness of their work; while all too often I have been misled by someone’s false bravado about what they were capable of producing, only to be dismayed by their incompetence. Mistaking bravado for competency is core to the success of the ‘style over substance’ dynamic that our celebrity culture promotes and overwhelms us with. It has permeated everything to some extent, and it is a rare occasion now when the hype is matched by the performance. Every once in a while, however, a person or product truly amazes me by exceeding the hype. Our new Dyson vacuum cleaner might make that list. One item I would definitely include is the first strip steak Anthony made for me this summer with their new Sous Vide cooker. He promised me the best steak I ever had – and it exceeded my expectations. The first time I can recall the performance exceeding the hype was when I was a kid in the sixties. 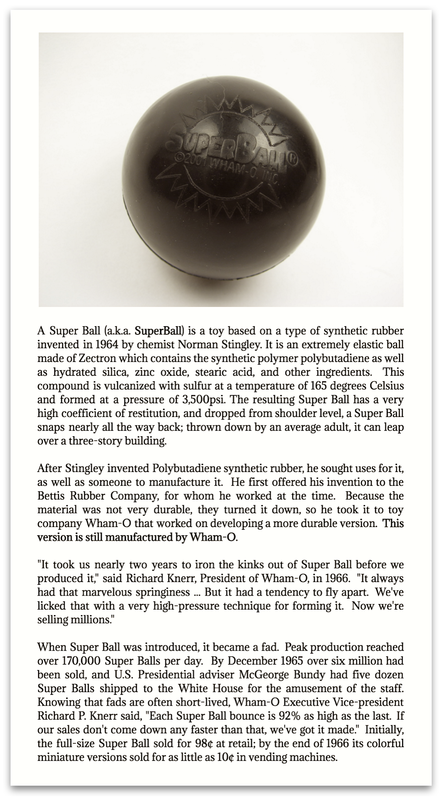 My dad had a sample of the first SuperBall. He told me they claimed it bounced higher than any ball EVER! He handed it over – I threw it down – and I couldn’t believe how high it actually bounced. It seemed to defy gravity. To this day, I carry around a superball. Maybe that will make for a good topic? I’ll try to list all the people, places, things, and claims that exceed the hype. I’m sure you have your own list. A list of disappointments could be even more fun. You’re going to love it … I guarantee it!